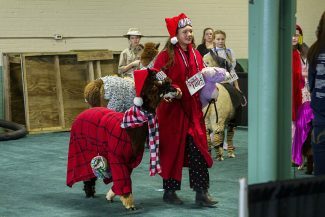 Four age groups (under 9 years old, 9-11 years old, 12–14 years old and 15-19 years old) will strut their stuff with their costumed alpacas in the show ring. Costumes will be judged on the comfort of the animal with foreign objects on their head, legs and feet, and how imaginative the costume is as well as the story each participant must write telling about the costume. First through sixth place ribbons will be awarded to those with the highest points. 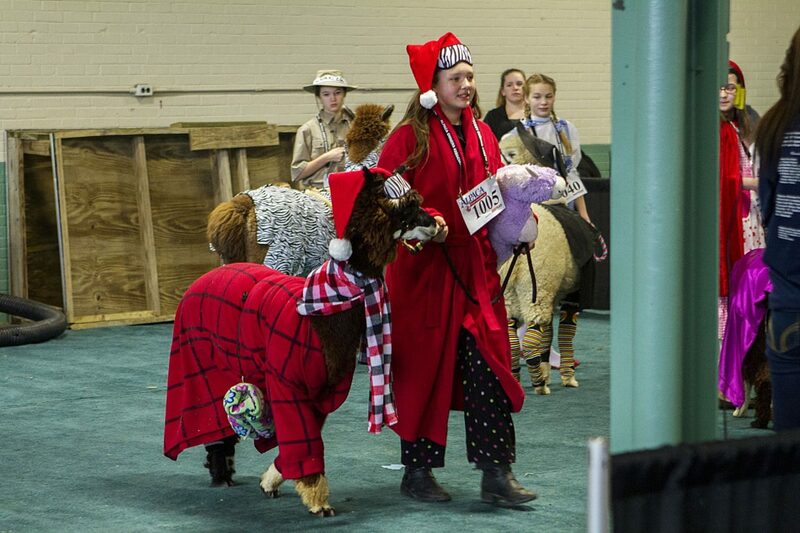 The Alpaca Costume Contest is part of the Alpaca Owners Association National Alpaca Show sponsored by Red Granite Ranch, a family-friendly event which draws hundreds of alpaca enthusiasts and fiber artists from across the country. Friday, March 15 8 a.m. – 5 p.m.
Saturday, March 16 8 a.m. – 5 p.m.
Alpacas from across the country will also be featured in the show ring competition. The show will be comprised of classes judging conformation and fleece quality in many categories for both Suri and Huacaya alpacas. Dozens of vendors and farm displays will sell the latest alpaca fashions and hand-crafted items.